We invite you to join us in the Furry Friend’s 5K in Bolton on June 10th. It’s a great opportunity for a day of fun that will help the animals at Procyon. 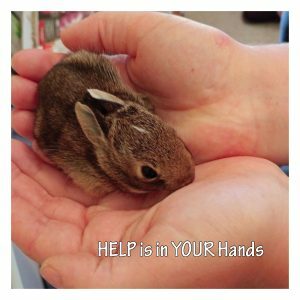 Your participation will help raise some much needed funds for the wildlife which will be under our care this year. Bring your dog(s) and have a fun morning walking/running for wildlife! And even if you don’t have a dog, you are most welcome to join the walk. – Every participant receives a t-shirt, a photo with your dog, and every dog receives a leash and bandana. Drinks and snacks are provided for participants and dogs. 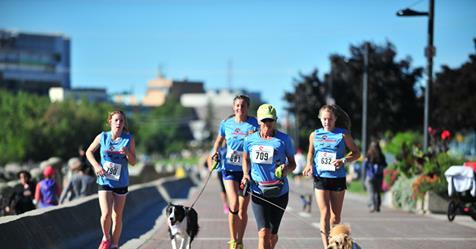 – Participants have the option to walk or run, and you don’t have to do the full 5k if you’re not up to it, or if your dog is elderly. This event will be raising funds for two organizations…the Caledon Animal Shelter and Procyon Wildlife. If you select “View Teams”, you will notice that a team called “Procyon Wildlife” has already been set up. When you register, register under “Team” because the registration fee will be less ($30.00 instead of $35.00). Register your name under the Procyon Wildlife team. Register before April 30th, otherwise the registration fee goes up. When you register, there is a place where you also select that you are bringing a dog. Get as many donations as possible. Folks can make a donation to the team by going online, and there is also an option on the site to print off a pledge sheet. If you prefer, you can stop by Procyon Wildlife Centre and pick up a pledge sheet from us. When pledging online, just make sure everyone pledges under Procyon Wildlife. Note: The $30.00 registration fee does not go to Procyon. This is a fun event for a great cause. Please participate, either as a walker or by donating to the team. And let all your friends, family, co-workers and employees know. Hope to see everyone at the Walk-a-Thon for a fun day on June 10th, and hopefully we manage to raise lots of money for all the baby animals we’ll be receiving at Procyon this season. ← Garage, Plant & Bake Sale, this June 16th, 2018!